Several times a year, when we feel like it, the Golden Journal brings Gold Club members a set of extras for their Avalanche Press games. 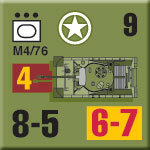 Our 23rd issue is all about the Sherman tank: is it under-rated in Panzer Grenadier? 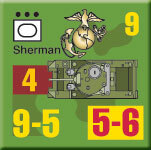 You get 24 upgraded Sherman pieces to test out this proposition. Almost 50,000 Shermans would be produced during the Second World War, equipping not only U.S. Army and Marine Corps tank units but those of many Allied nations as well. 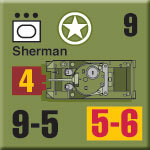 The Sherman appears in many Panzer Grenadier games (more of them than you’d think, thanks to all of those Allied Shermans). 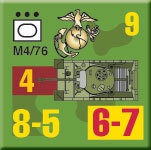 Our “Belton’s Bane” variant gives you two dozen Sherman tank platoons of various types (M4 Shermans, M4/76 and M4/105) and service (Army, Marines). 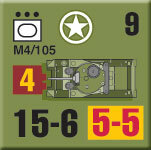 While the Sherman had a bewildering number of sub-types, most of the differences aren’t enough to show up in game terms and we’ve always kept the naming conventions simple. We’re only printing a small number of these and when they’re gone, they’re gone forever - we don’t want to keep Journals in stock long-term.